This was the last big adventure on our list for I-395, a hike on the Mt. 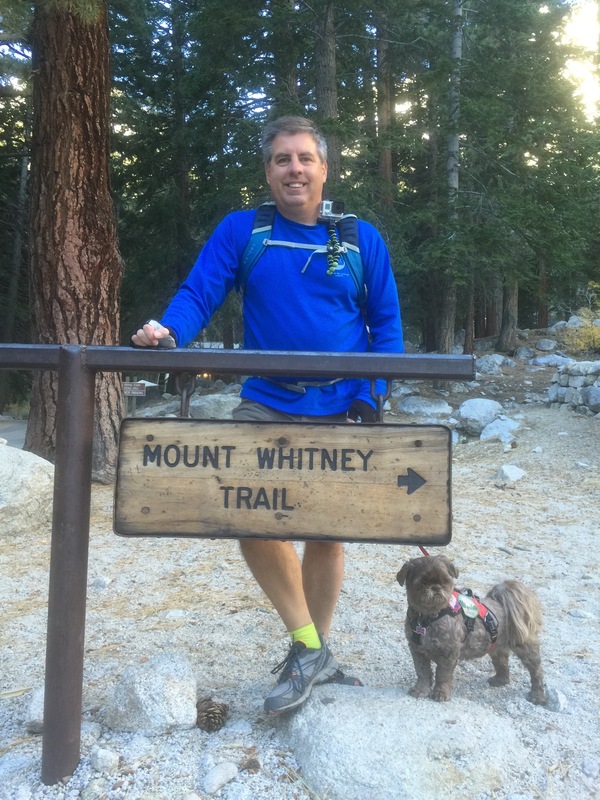 Whitney trail. 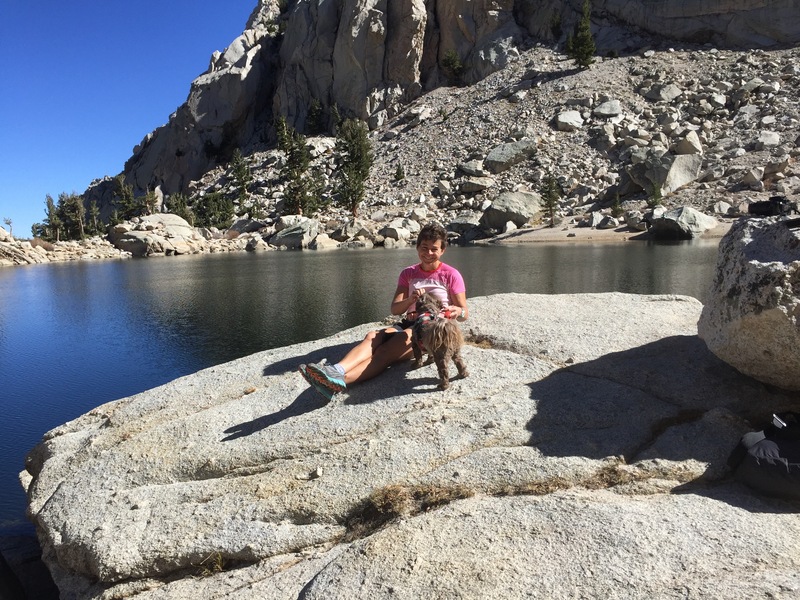 Dogs are allowed from Whitney Portal at 8350 feet up to Lone Pine Lake at 10,050 feet. We got started on the trail at 0930 and bundled up in layers as it was probably 40 degrees at the trailhead, which was in the shade. We started up the switchbacks and in 15 minutes we were out of the shade and into warm sunshine. The layers all came off and we spent the rest of the day hiking in shorts. The trail is excellent. It’s basically a dirt path that switchbacks up the mountain. There are no steep grades and no roots and rocks to negotiate like trails in the northeast. There are views up to the mountain and back across to Lone Pine during the entire ascent. The trip to the lake is just over 3 miles each way and gains 1700 feet. The lake is very scenic with a backdrop of the mountains. There are old bristlecone pines throughout this area. I am still completely captivated by these hardy trees. John and I both have added a day hike up Mt. Whitney to our wish list. It is a 22 mile round trip hike but with trails like this we know we could do it. 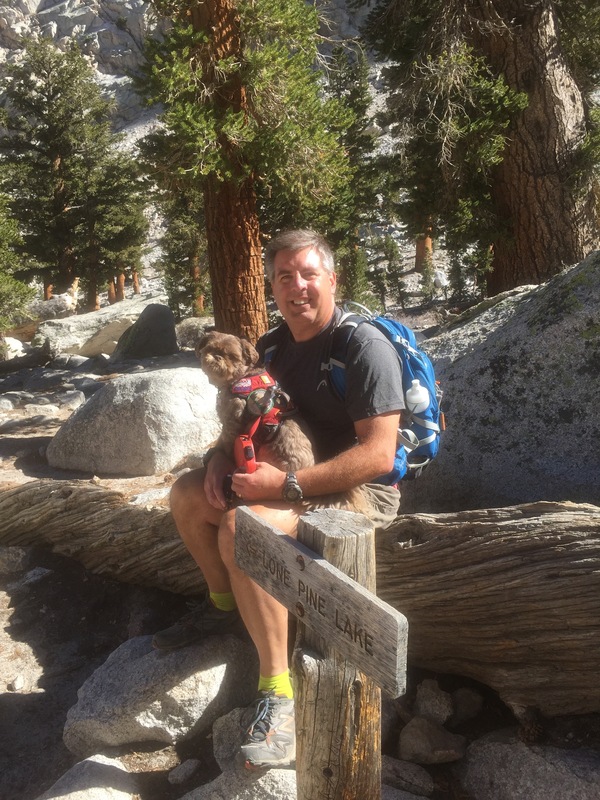 We both agree that if we were ever to do a backpack trip on a long trail, the John Muir trail would be our choice. It starts in Yosemite and ends at Mt. 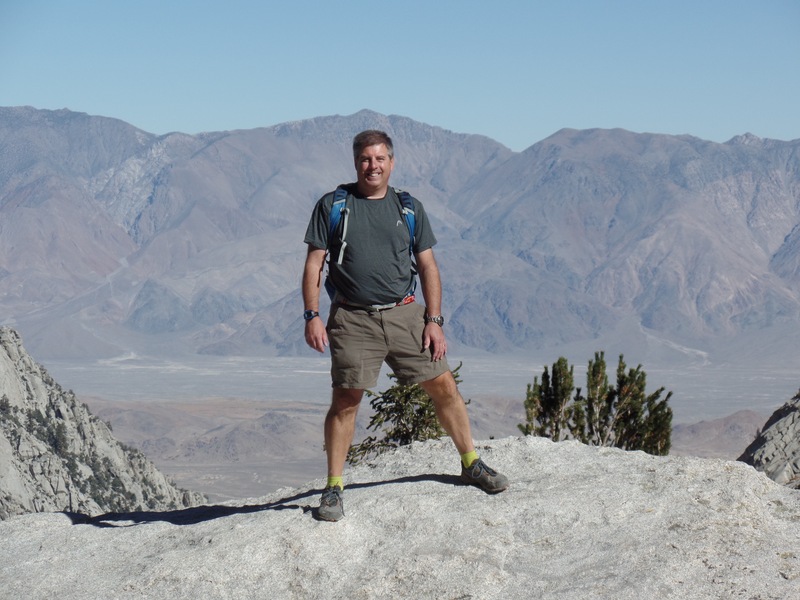 Whitney and is a 211 mile trail through some of the most scenic landscapes in the USA. Today is a “down day” we are cleaning the RV and preparing for a move to the “desert”. We will be spending the next 10-weeks between Desert Hot Springs and Palm Springs. Our goal is to stay warm and enjoy a snow free holiday season. 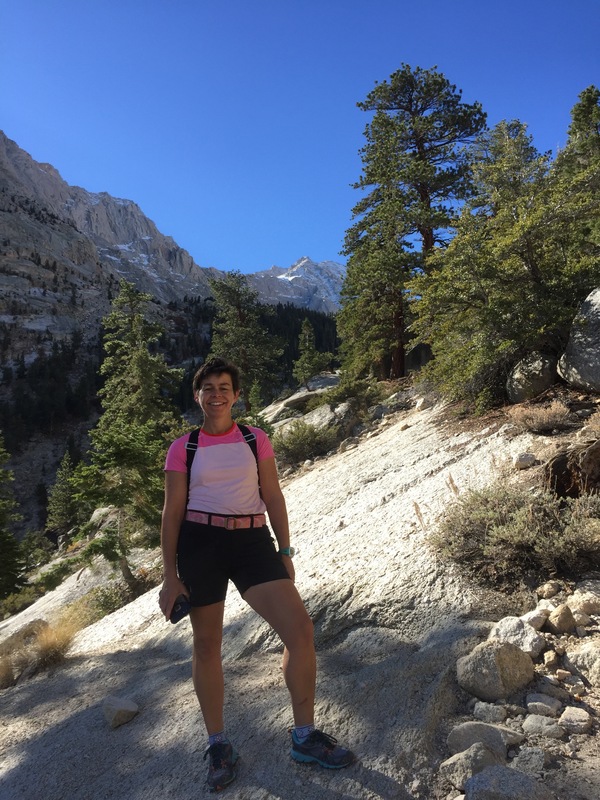 This entry was posted in Hikes, Sightseeing, The journey west and tagged John Muir Trail, Lone Pine Lake, Mount Whitney. Bookmark the permalink. Nice. 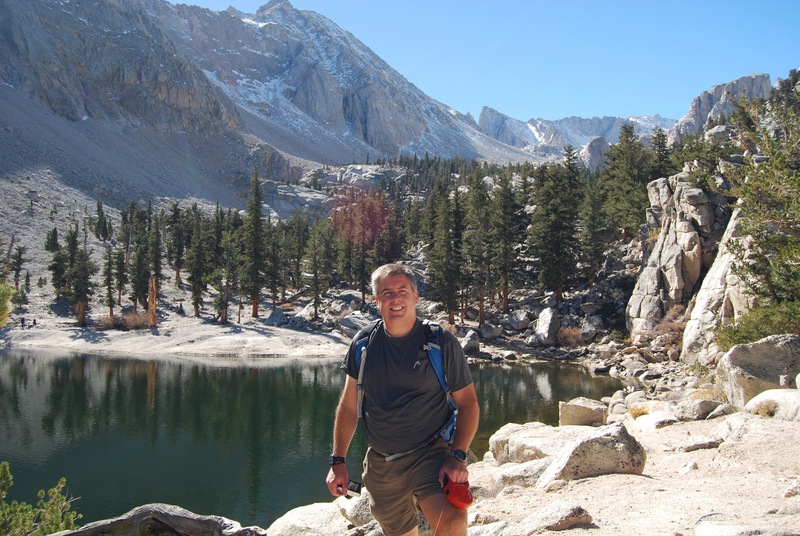 I am scheduled to do the JMT next summer for the first time. I am planning on having my 60th birthday on the trail. Nice description. I was there many years ago and have great memories.